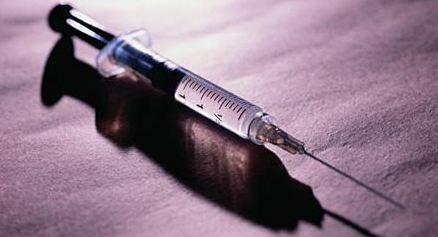 There has been a lot in the news recently about the outbreak of fungal meningitis linked to contaminated steroid injections. With the increasing industrialization of our health care system, we as patients and our doctors as providers are becoming more removed from direct knowledge of the drugs we take to manage pain. I am often surprised at the willingness Americans have to pop a synthetic pill or go under the surgical knife as a first treatment rather than a last resort to dealing with pain. There are many options that exist today which can treat the actual causes of physical pain and provide a number of other health benefits as well. Rolfing® can help provide long-term relief from issues like back pain by addressing not just the symptom but the underlying structural causes and it does so without the use of drugs. Rolfing is a therapy based on hands-on manipulation of fascia, the connective tissue that forms ligaments and tendons in the body. In contrast to steroid injections which work by limiting the immune system response and dampening inflammation, Rolfing works by creating space in the body allowing for better movement and circulation and allowing inflammation to clear on it’s own. Rolfing has also grown over the years to encompass elements of addressing the nervous system and movement patterns that reinforce painful posturing or movements. Rolfing also involves no injections or pharmaceuticals so there is no need to worry about current issues like life-threatening infections from contaminated steroid injections. Beyond not being linked to infections, there are a numbers of reasons that Rolfing is a much more effective therapy to consider. Steroid injections and a great many other standard medical treatments are designed with insurance in mind to directly treat a singular issues and only that issues. Rolfing, rather than being simply a quick fix is based around the idea of fostering health rather. A Rolfed body stands taller and moves more fluidly. Clients often report feeling more like themselves and most note improvements in sleeping and energy levels through a course of Rolfing sessions. Rolfing also frequently helps the body to strengthen it’s own structural support leading to a reduction in in frequency or severity of future injuries. A quick check of WebMD for methylprednisolone acetate (the injection linked to cases of contamination) reveals a list of rather nasty side effects including vomiting, dizziness, trouble sleeping, appetite changes and pain/redness/swelling at the injection site. While I think it is fair to say that many of these side effects are probably preferable to months of chronic pain, there are also treatments available such as Rolfing that don’t come with a list of side effects. With the increasing industrialization of pharmaceuticals, we are much less likely to have a personal relationship with our prescription provider than we did 20 years ago. With the myriad drug interactions out there, it becomes much easier to miss something if your provider is a large remote company. A Rolfer will work with you one-on-one and typically spends an hour or more with you on each treatment. And a Rolfer will treat you as an individual whole person and adjust treatments on the fly according to your needs. None of this is to say that corticosteroids are inherently bad. I have known people who had great results with them, and I have also helped a lot of clients who didn’t respond to steroid injections. Any treatment has advantages and drawbacks and I think it is important for people concerned about their own health to consider the alternatives and weigh the benefits of allopathic treatments versus the benefits of other modalities. For more information on Rolfing therapies in the Raleigh/Durham area, you can visit RaleighRolfing.com. To learn more about Rolfing in general or find a Rolfer in your area, you can visit the Rolf Institute of Structural Integration website at Rolf.org. Jason Sager is a certified Rolfer®, swing dancer, dance instructor & DJ based in Raleigh, North Carolina. Jason is the owner of Raleigh Rolfing, founder of the Lindy Lab, and co-creator of the RDU Rent Party.